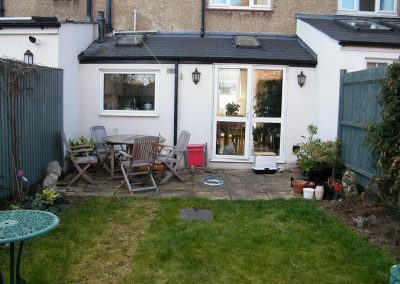 The brief for this small town garden was to transform it into a space which is an extension of the house. 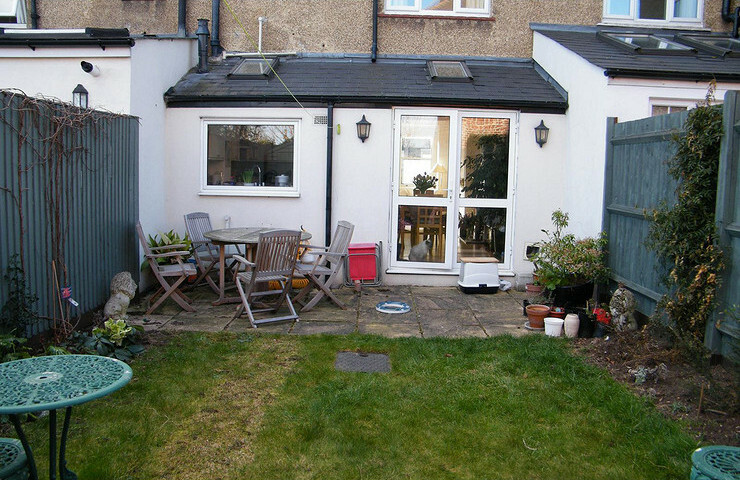 The uncluttered interior of the house has clean white lines, which inspired me to mirror this outdoors. 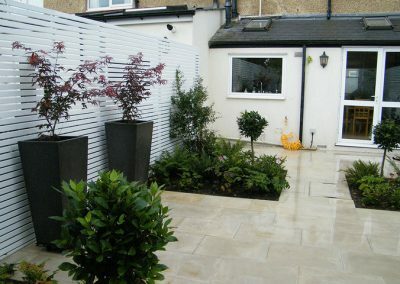 The light coloured scheme increases the size of the space and reflects light back into the house, and provides a perfect backdrop to show off the subtle colours of the plants. 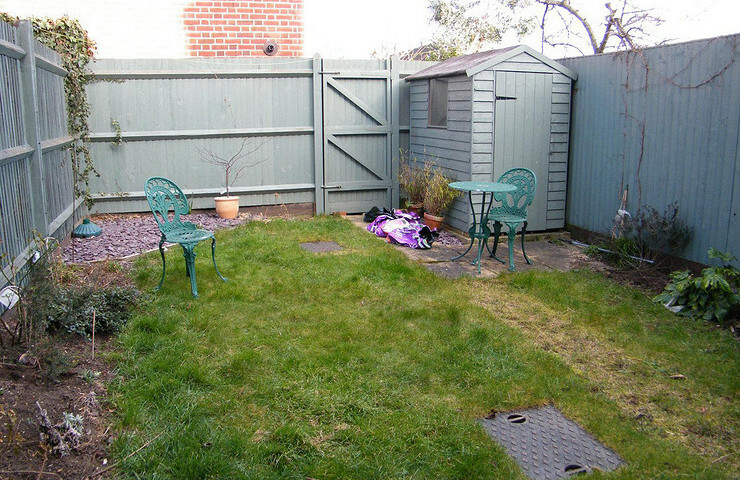 The garden is shady for a large part of the day, which means that light in the garden needs to be maximised by the colour scheme. 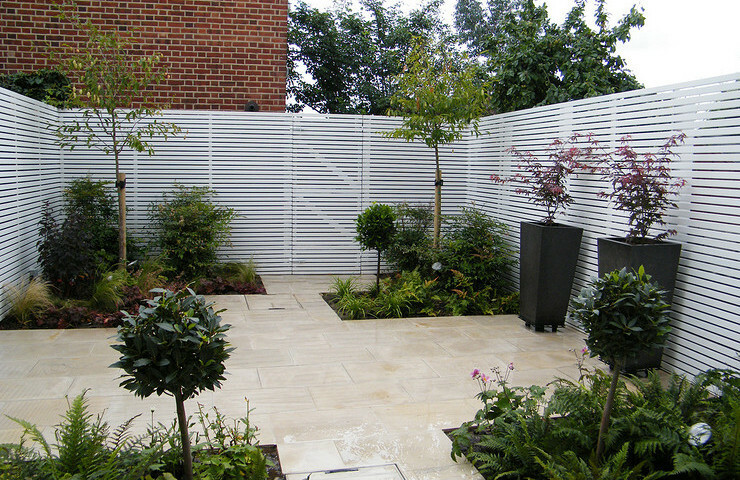 The white horizontal trellis gives the garden a contemporary theme whilst cladding the unattractive fence behind it.The fencing was built on site by NK Services Ltd . 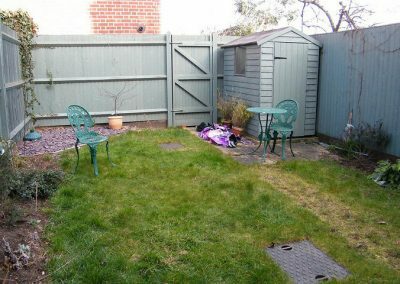 The garden was cleared and paved by Muddy Wellies . Planting is largely evergreen and low maintenance providing flowers for every season of the year. 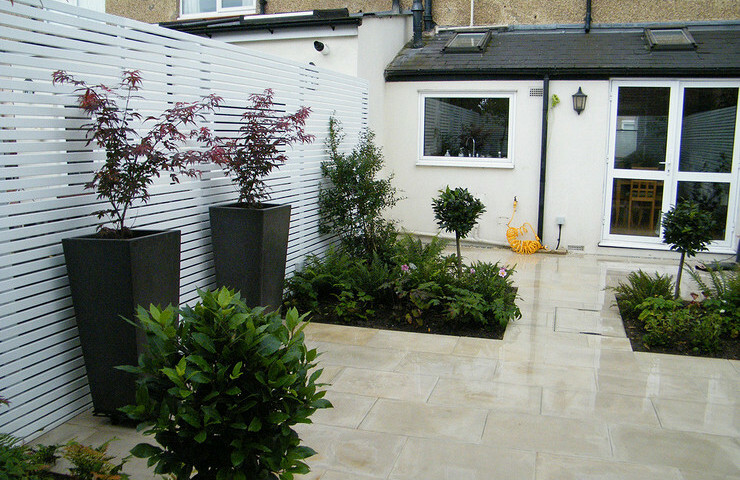 The scheme was predominantly green,purple and white, creating a tranquil atmosphere. 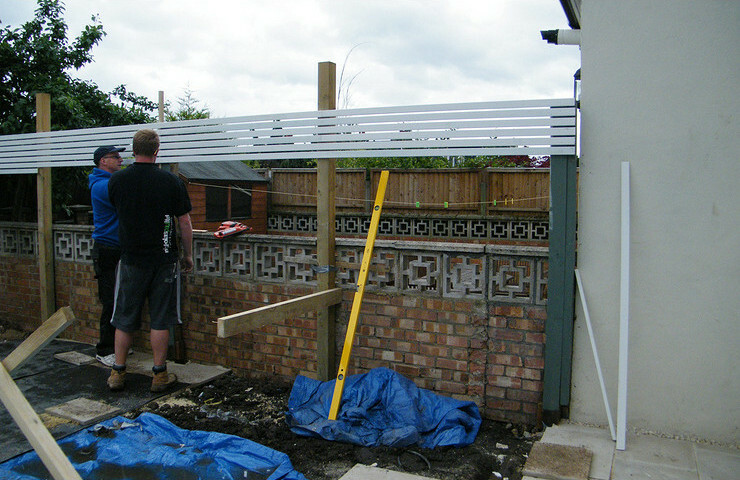 The small Japanese hornbeam trees will grow to disguise the tall building at the end of the garden. 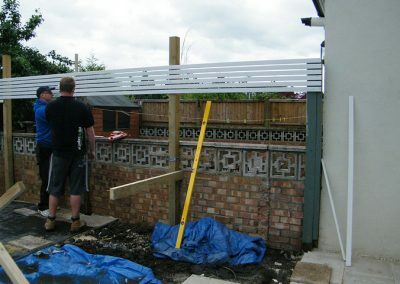 These were supplied by Barcham Trees . 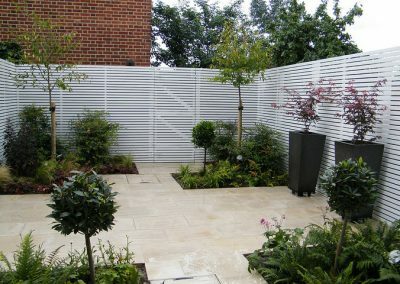 The planting was sourced from Evergreen Exteriors in Banstead and planted by Berrie Garden Design.